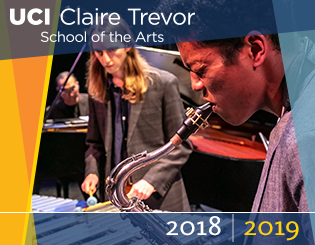 To honor the late Mr. Donald McKayle’s contributions as Professor Emeritus and Director of UCI's Etude Ensemble to the Department of Dance at Claire Trevor School of the Arts (1989-2018) and to recognize his passion for teaching dance to students, we invite you to join with us in giving to an endowment in his memory. This fund will perpetuate Mr. McKayle’s dedication to the next generation of dancers by providing scholarships, securing dance luminaries to conduct master classes, and commissioning new works in modern dance. Mr. McKayle believed that there is a place in dance for everyone. Your gift to the Donald McKayle Endowment for Modern Dance will honor and preserve his memory ensuring that his contributions to the world of dance will continue to be remembered for decades to come. Click here to make a gift to the Donald McKayle Endowment for Moden Dance. Mr. McKayle was an iconic American modern dancer, choreographer, master teacher, director and writer who made a vast and wide-ranging impact on America’s creative and cultural landscape, specifically in Orange County and at the University of California, Irvine. Donald McKayle was best known for creating socially conscious concert works during the 1950s and '60s that focused on expressing the human condition and more specifically, the black experience in America. His core values as an artist (e.g., his celebration of the human spirit and investigation of the human condition; his rigorous creative process and training methodology; and his tremendous investment in and support for the next generation of creative artists) influenced his work, his teaching, and his life which spoke to the best facets of our culture. Mr. McKayle’s career spanned more than six decades. The Harlem, New York-born McKayle began dancing during his senior year in high school after being inspired by a Pearl Primus performance. He won a scholarship to the socially conscious performing-arts organization New Dance Group where he studied with Primus, Sophie Maslow, Jean Erdman and others. He made his professional dancing debut in 1948. During his career he danced with virtually every well-known dance master in the world, including Martha Graham, Merce Cunningham, Anna Sokolow and Charles Wiedman. Mr. McKayle joined the University of California, Irvine Department of Dance in 1989. His choreographic masterworks are considered modern dance classics. Games, Rainbow Round My Shoulder, District Storyville, and Songs of the Disinherited are still performed around the world. His contributions to the world of Dance have earned him a citation as "one of America's irreplaceable dance treasures" by the Dance Heritage Coalition and the Library of Congress, along with a medal from the Kennedy Center as a Master of African-American Choreography. His choreography earned him two Emmy Award nominations, an NAACP Image Award, and five Tony Award nominations for his work in Broadway musicals. He has been awarded virtually every honor given in the dance profession. For his work in education, he has earned the UCI Medal, the university’s highest honor, and was named Claire Trevor Professor in Dance, an endowed chair. He continued to mentor and counsel the next generation of dancers in our community until his death, thus ensuring that his contributions to the world of dance will continue for decades to come. We will periodically update this page with triubtes & memories from the community. Click here to submit your personal sentiments. 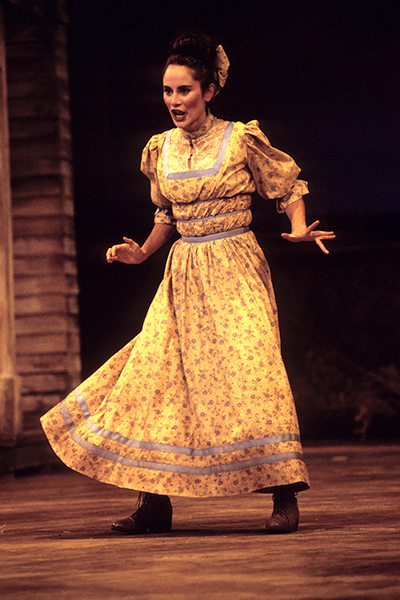 Beth Malone in Oklahoma!, 1999. Choreographed by Donald McKayle. 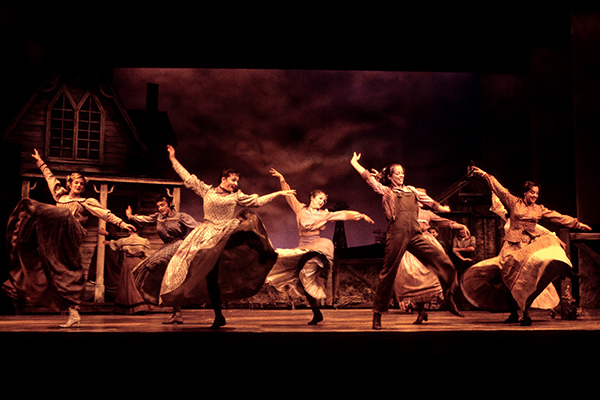 The Cast of Oklahoma!, 1999. Choreographed by Donald McKayle.